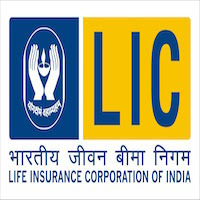 Online Application Details for Life Insurance Corporation of India LIC Recruitment of 2 Medical Officer is given below. Application form and duly attested documents are to be sent to the Executive Director (Personnel), Life Insurance Corporation of India, Central Office, Yogakshema, Jeevan Bima Marg, Nariman Point, Mumbai-400021. In envelope super scribed with 'Application for the Post of Post Name'.